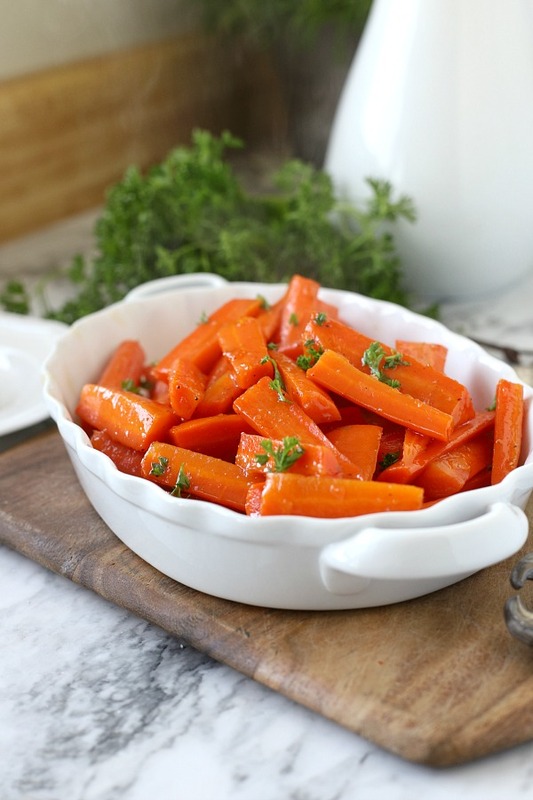 Turn that bag of carrots hanging out in the crisper drawer into a tasty plate of delicious. Colorful and elegant, glazed carrots are quick and easy to make on the stove with just a few ingredients. 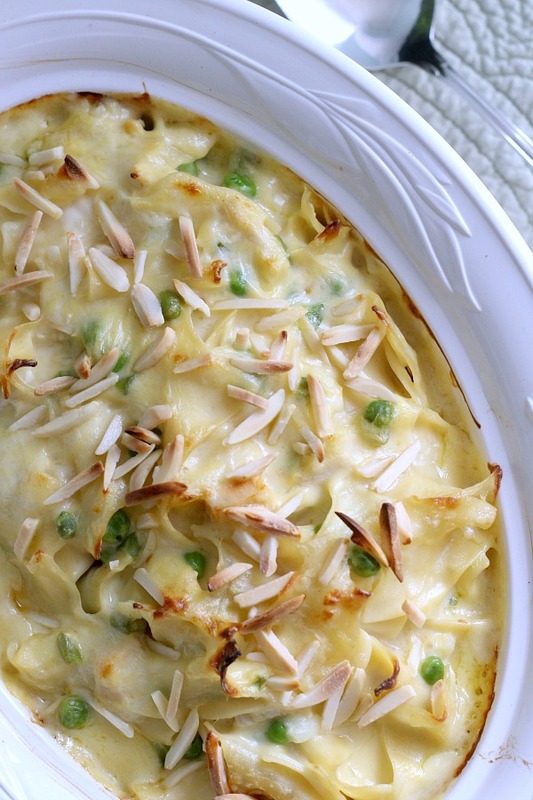 They make a perfect and nutritious dinner side dish. The humble carrot. The brightly colored root vegetable is packed with health benefits. 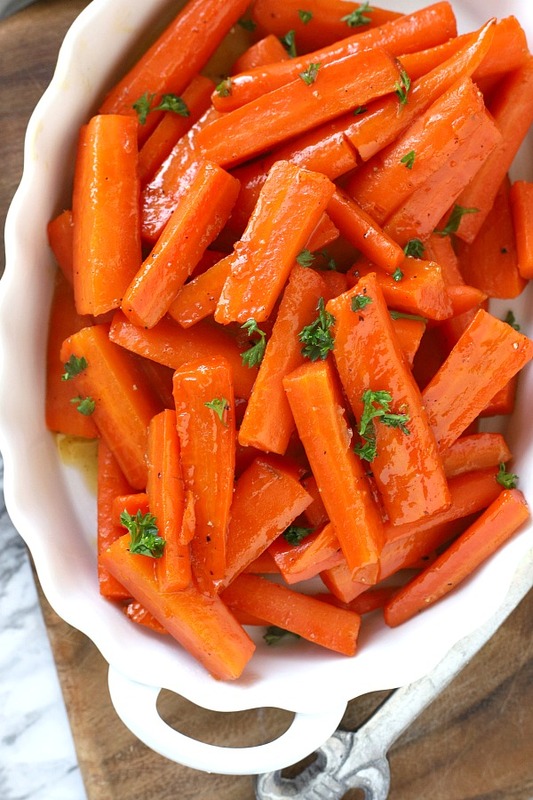 Carrots contain vitamin A, antioxidants, and other nutrients and are rich in fiber. Evidence suggests that eating more antioxidant-rich fruits and vegetables, such as carrots, can help reduce the risks of cancer and cardiovascular disease. I like to serve carrots often. They provided much in the way of nutrition and are inexpensive. Carrots work well when serving chicken, beef, pork, ham and fish. They add an appetizing color to the plate and most people like them. Glazed carrots usually appear on our holiday table, especially for Easter complimenting the ham or at Thanksgiving alongside the roasted turkey. But weeknight meals such as baked chicken or pork chops are entrees that pair well with carrots. 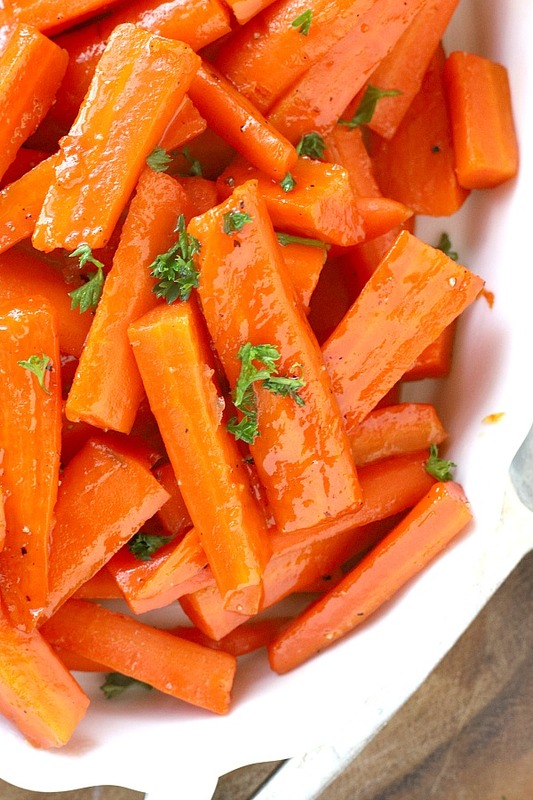 This simple way to make carrots adds much flavor. Just a little extra step and the sometimes boring carrot is elevated to delicious, company worthy dish. I hope you will give this old-fashioned veggie a try. Peel carrots and cut either into chunks or sticks. 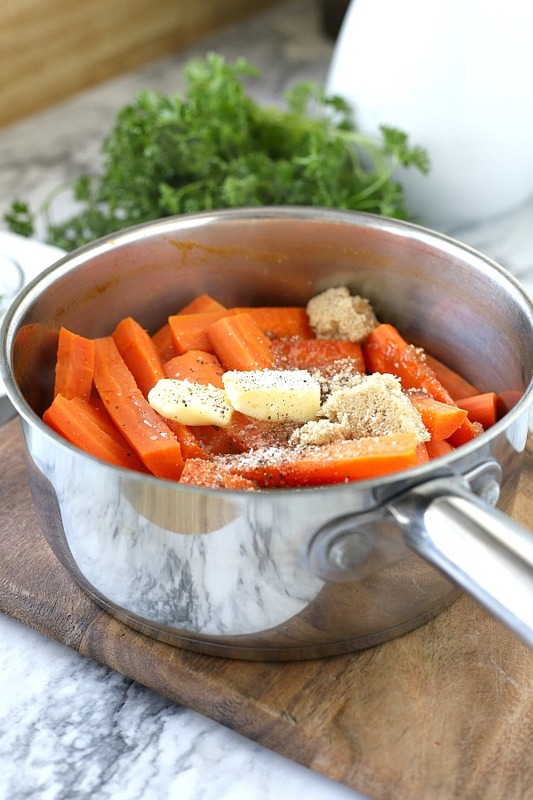 Place the carrots in a sauce pan and add water enough to cover. 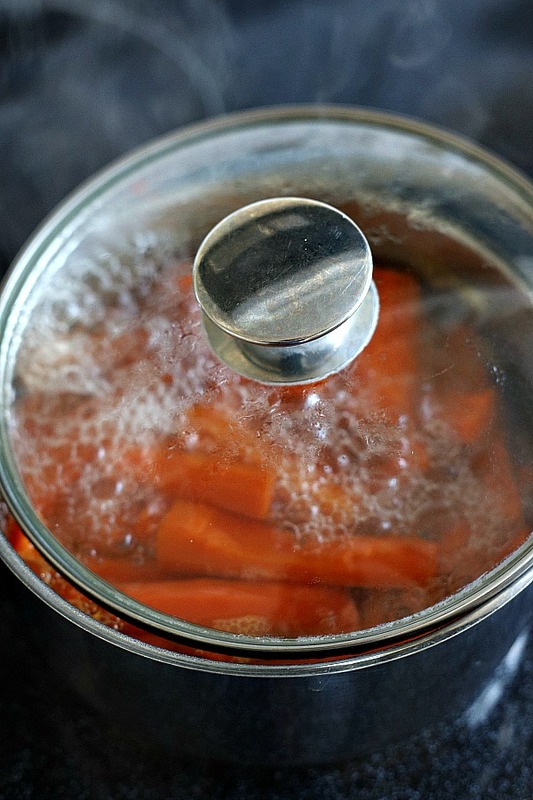 Reduce heat and simmer 8-10 minutes or until carrots are tender. 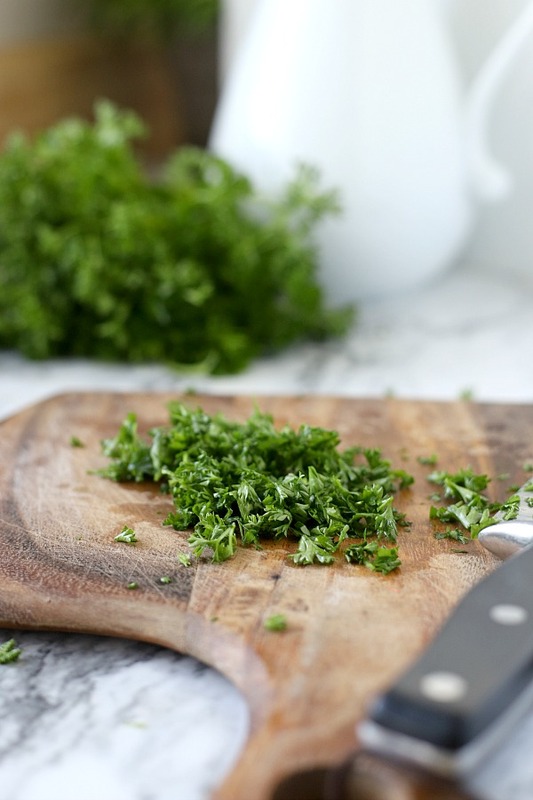 While the carrots are cooking, chop fresh parsley. 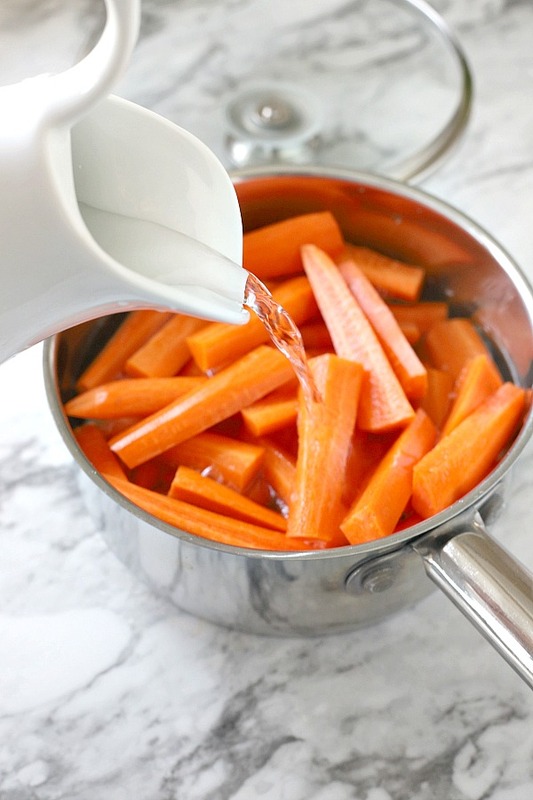 When carrots are tender, drain off the water. Add the butter, brown sugar, salt and pepper to the pan of carrots. Stir to coat. Cook for a additional 4-5 minutes, stirring occasionally, until the glaze has formed. 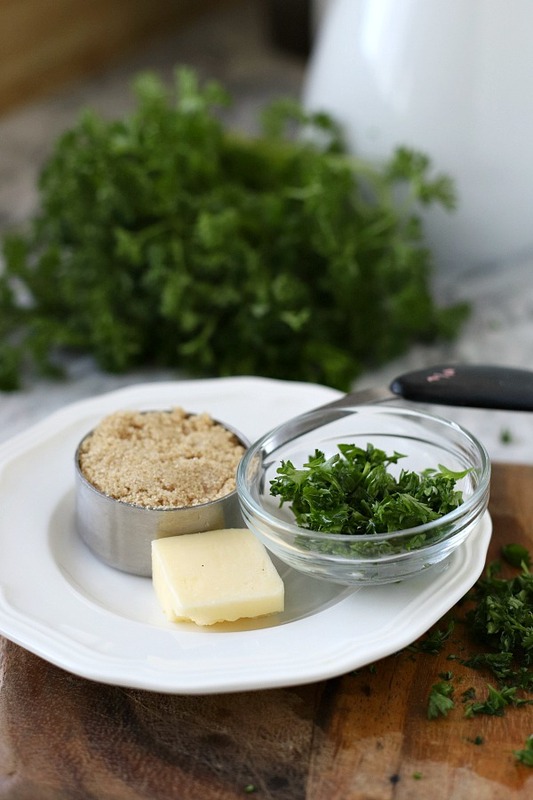 Remove from heat, place in serving dish and sprinkle with parsley. 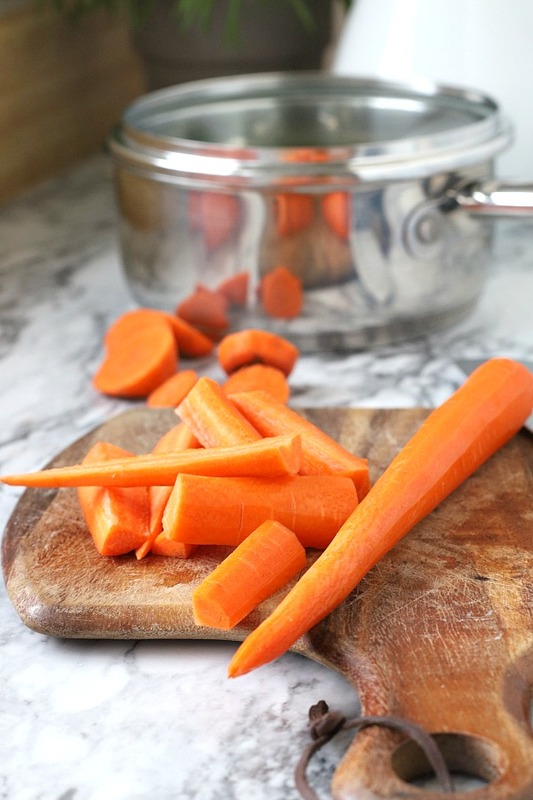 Place the carrots in a large pan and add water enough to cover. Bring to a boil; reduce heat and simmer 8-10 minutes or until carrots are tender. 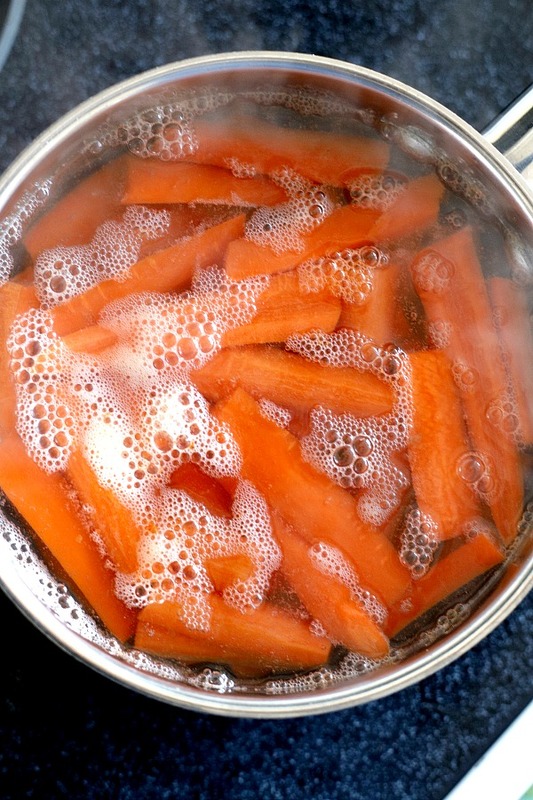 Drain off the water; add the butter, brown sugar, salt and pepper to the pan of carrots. Stir to coat. I just left a nice long comment and forgot to check the button and so it deleted it before I could catch it. Anyway, wonderful recipe—one even kids love. I used to make these for every Easter brunch.